For Drew DiDonato, dogs have always been part of his family, from his days as a youngster growing in Lawrence up to his full grown adult years. That’s because the DiDonato family has a long and respected history breeding English Springer Spaniels. 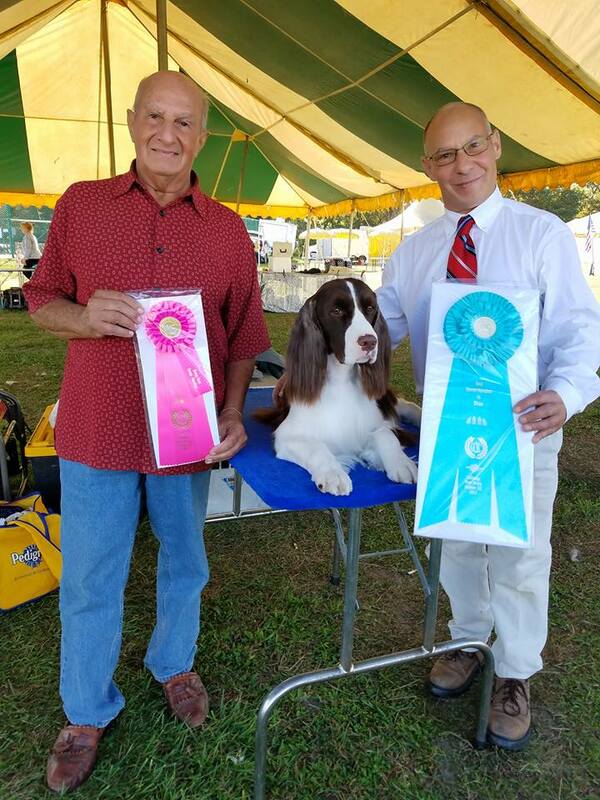 They are known as Maidenhead Springers which was started in Lawrence, NJ by his father Camillo “Bud” DiDonato and is now carried on by Drew who resides in Levittown, PA.
Drew DiDonato with his first Champion English Springer Spaniel Koda. 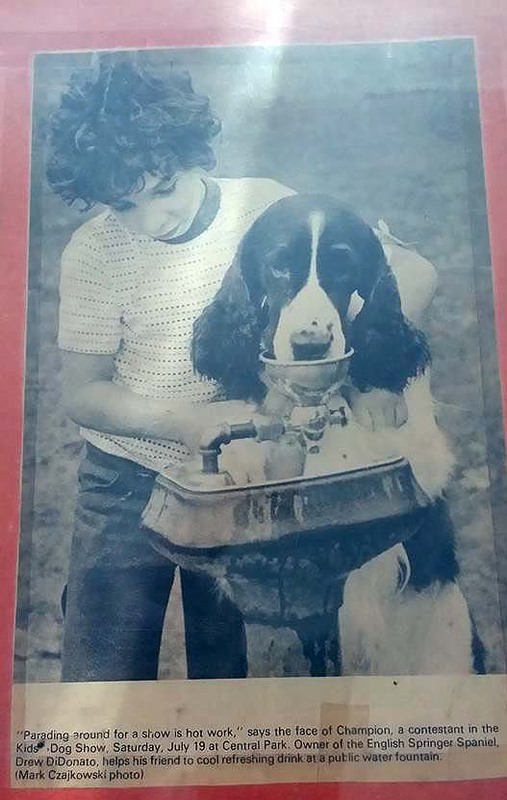 I have had dogs, mostly English Springer Spaniels for literally my entire life. 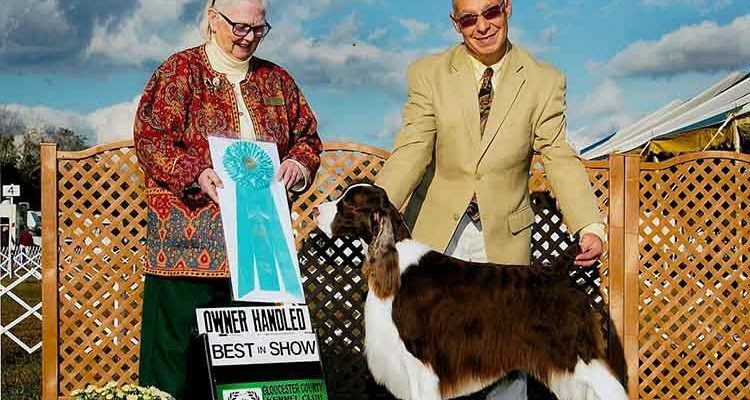 Show dogs and breeding have been a big part of my life. I absolutely love them and am honored to be heading back to Westminster with Nick, explained Drew DiDonato. 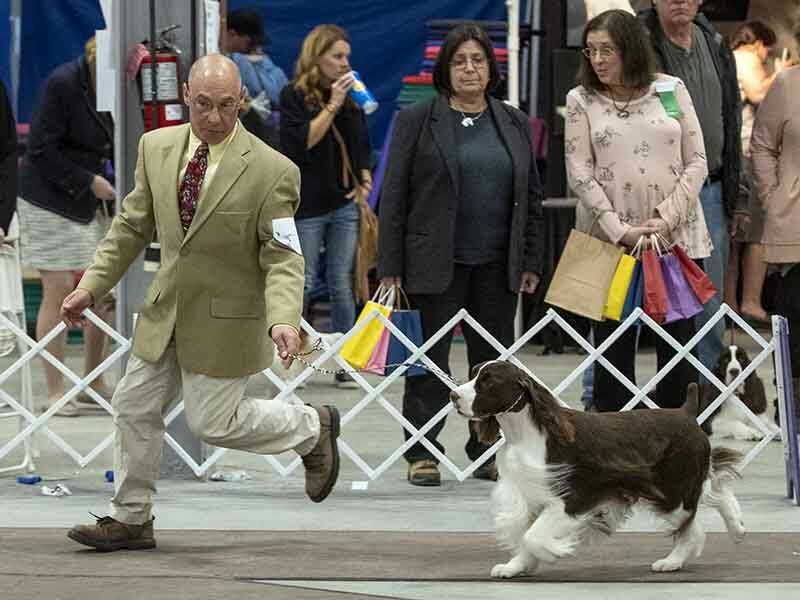 This year Drew, Bud, and their English Springer Spaniel “Nick” are heading to the “Super Bowl” of AKC conformation dog shows, The 143rd Annual Westminster Kennel Club Dog Show. Camillo “Bud” DiDonato, Nick-GCHB. CH. Maidenhead’s Renegade and Drew DiDonato. 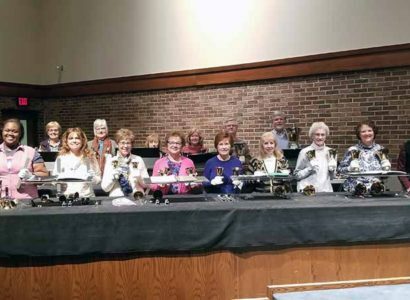 The Westminster Kennel Club is America’s oldest organization dedicated to the sport of purebred dogs. Established in 1877, Westminster’s influence has been felt for more than a century through its famous all-breed, benched dog show held every year at New York City’s Madison Square Garden. How big is The Westminster Dog Show? It receives almost as much media coverage as the Super Bowl and the World Series. It is so big the Associated Press has an entire section of their website dedicated to their coverage of the event. But this not Maidenhead Springers first time at the big show. Nick – who is known by his AKC registered name as GCHB. CH. MAIDENHEAD’S RENEGADE is following in his Great Grandfather Blu CH. Maidenhead’s Advocate footsteps, who was the 1997 Best of Breed winner at Westminster. Blu CH. 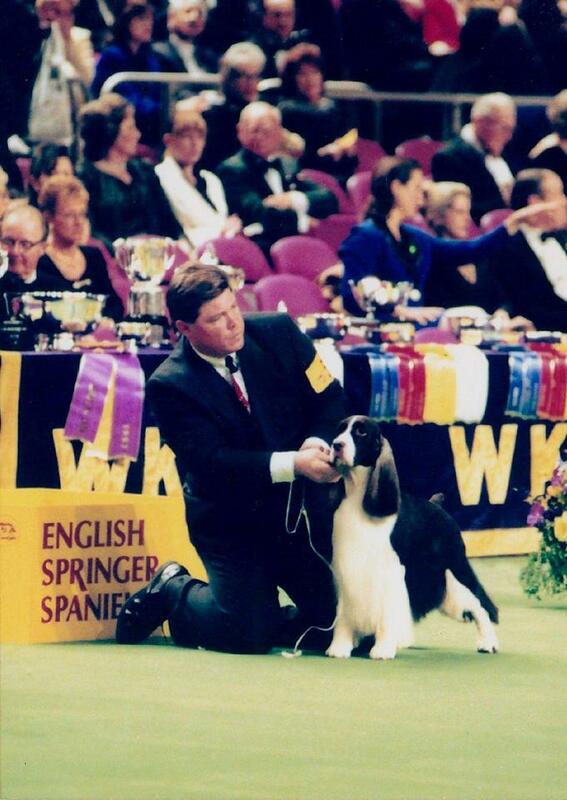 Maidenhead’s Advocate with his handler Howard at the 1997 Westminster Dog Show. This year has just as much meaning if not more for Drew DiDonato, as he will be showing Nick as an owner-handler. Most show dogs that make it to the level of competive shows such as Westminster are shown by professional handlers. But Nick and Drew have risen the ranks together as a team. Nick has been exclusively shown & Conditioned by Drew as a Breeder Owner-Handler. Nick- GCHB CH Maidenhead’s Renegade is one of 28 of the top English Springer Spaniels in all of America competing in Westminster and with Drew wearing lucky number 7 as his armband and his Dad at his side the team may have just what it takes to have the most popular dog in the world at the end of the day.